Native American Warrior Poster with proverb. 11x17"
Native American Chief Poster with proverb. Like a poster -- only smaller! Our high quality posters are printed on glossy, 48 lb paper and measure 11" x 17". 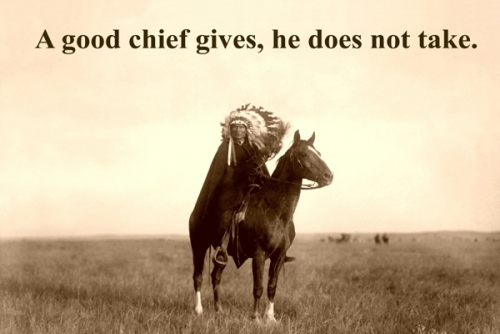 A Good Chief Poster features an Indian Chief with the proberb - A good chief gives, he does not take.